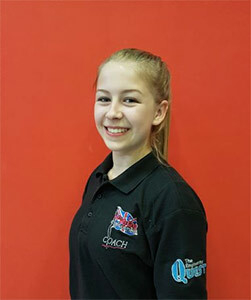 Rebecca started coaching in 2015 and although still young is a fantastic coach that head coach Alan hopes to see helping the development squad groups in the future. She has a fantastic understanding of the basics that she is able to pass onto the younger children. Rebecca can be seen in the gym on a Tuesday, Wednesday, and Saturday.